Whenever I go out to eat, I try to order something that I don’t usually make at home. Oftentimes, that ends up being ravioli or lasagna. I rarely make these because they take so long to make, and to be honest, do they really taste that much better than spaghetti or baked ziti? They’re certainly not cuter. Until now. For my first ever attempt at making ravioli, I couldn’t make your traditional square ravioli. 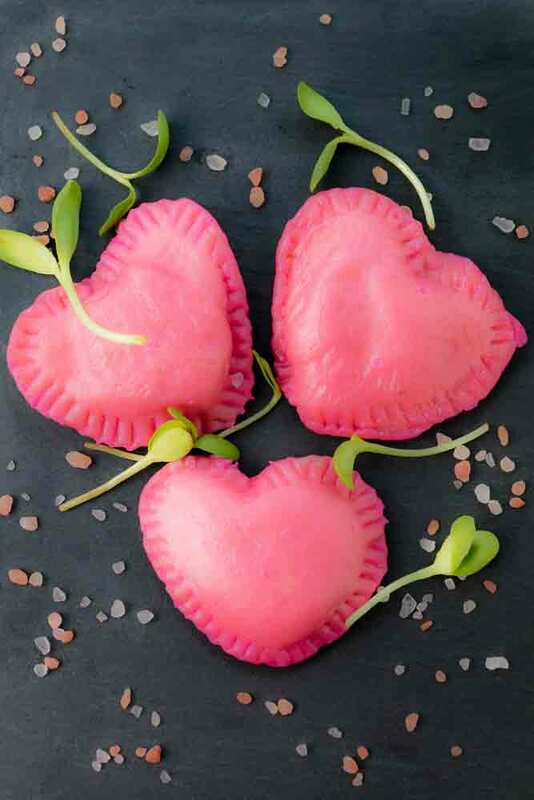 I obviously had to make heart shaped ravioli. And then I took them to a valentine’s / galentine’s tea party. That made the 3 hours I spent on these worth it. I recommend making them for a special occasion, not an everyday dinner. I used my kitchenaid stand mixer to do all of these steps. Add the oil, salt, and water, and stir well. Wrap the dough in plastic wrap and let it rest for 20-30 minutes. Substitute Kite Hill ricotta for the almonds, water, and salt to save time. Sauté the chopped mushrooms in oil (or water if you avoid oil) until all the liquid has cooked out. Set aside. Boil the almonds in water for 15 minutes. Rinse. Blend the almonds, teaspoon of salt, and ½ cup water, scraping the sides when needed, to make sure it all blends. Mix the blended almonds with the cooked mushrooms, and that will be the filling for your ravioli. Set aside. 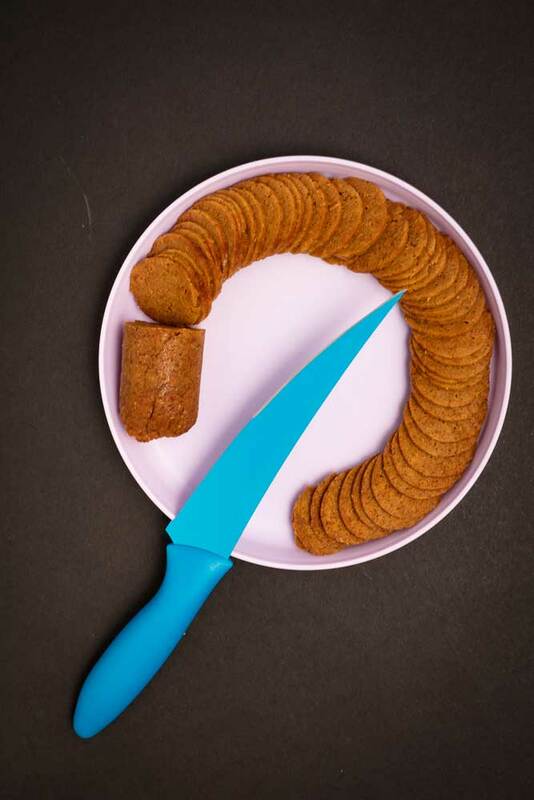 Roll your dough as thinly and as evenly as you can without ripping it. Add additional flour to keep it from sticking to the rolling pin. If you have a pasta maker, make sheets of dough with it. I use this rolling mat , and it makes cleanup SO MUCH easier! Scoop a small spoonful of filling onto the dough leaving a few inches in between each scoop. Do this to half the dough. 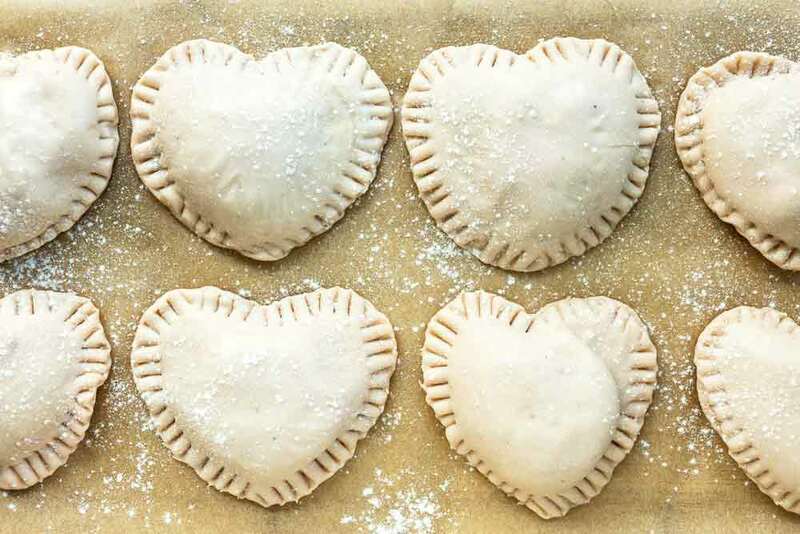 Fold the remaining dough over the scoops of filling. 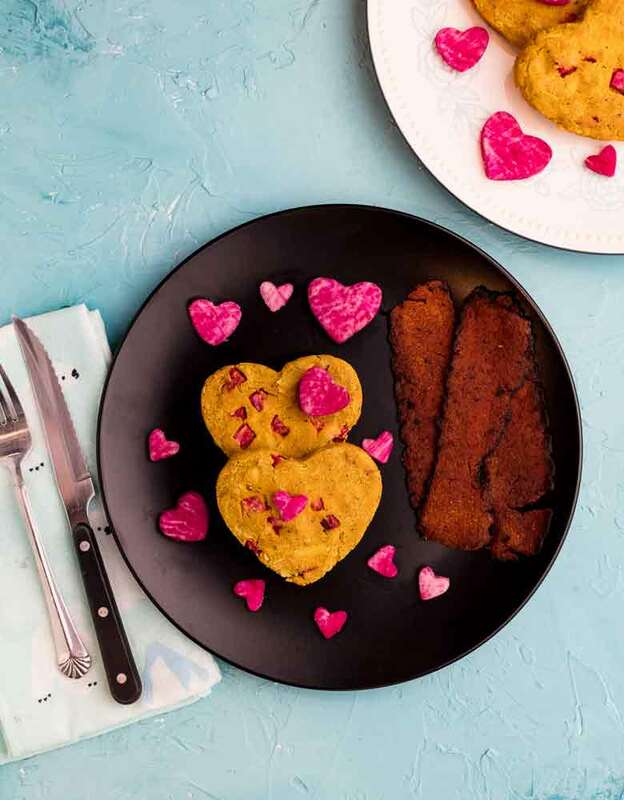 Cut out heart shapes around each lump of filling with a heart cookie cutter or any shape of your choosing. Press around the edges of each ravioli with a fork to make sure they’re all sealed. Set each ravioli on parchment paper dusted with flour. If you stack them together, they’ll stick to each other and may tear when you try to separate them. Boil only 3-4 raviolis together at a time to make sure they don’t stick together while they cook. They only need to boil for 2 minutes. 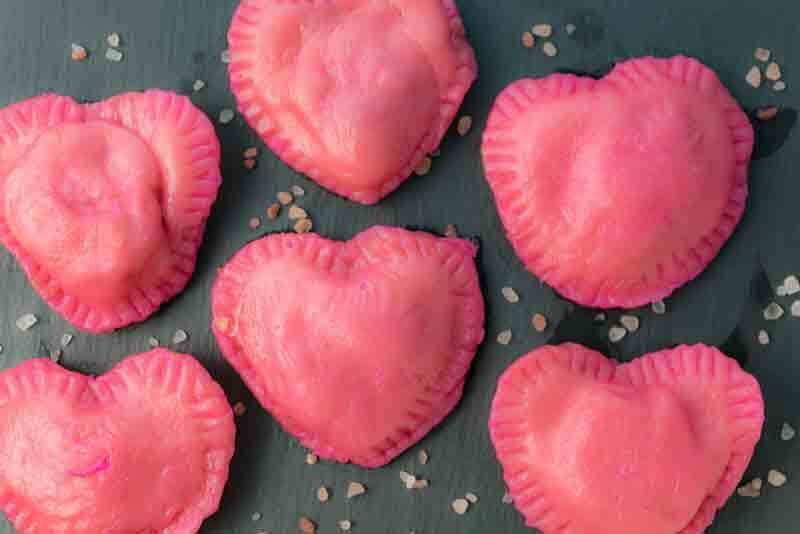 If you add pink food coloring to the water before you boil them, then your ravioli will come out pink like mine. If you have more time on your hands and like the flavor of beets, you can blend a boiled, peeled beet with your liquid when making your pasta, and then the pasta will already be pink, eliminating the need for using food coloring. 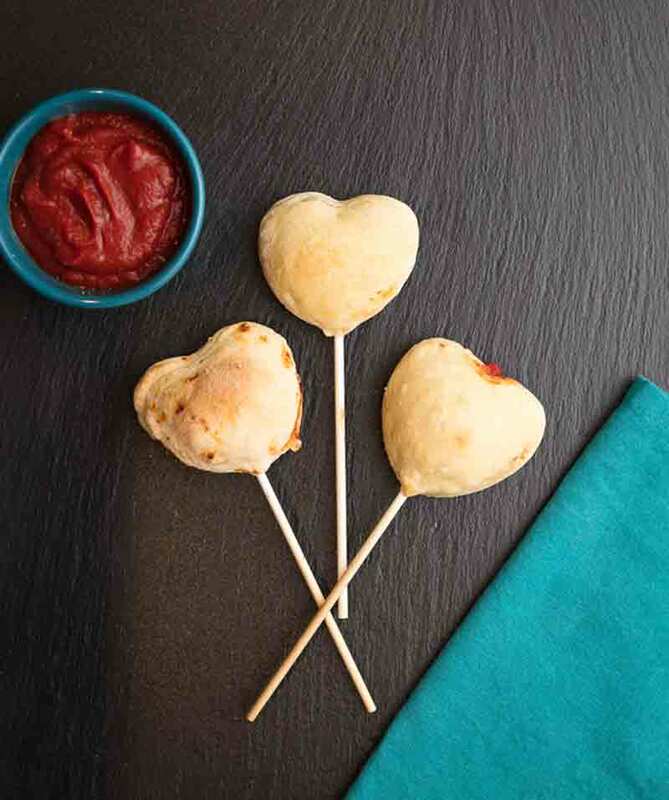 If you are a fan of heart-shaped foods, you might also like my pizza pockets.